Good day to everyone – hello, hello and hello to you in the back row wearing the Stetson. What a good day it is. Why? Because it’s Top Ten Tuesday time! I haven’t participated in one of these for oh so ever a long time because I have been far to disorganised to realise that Tuesday is coming up until it’s Wednesday and then, the day has passed. SO, here we are – and I apologise in advance if this post makes you want to buy bookish goodies. You have been warned. Top Ten Tuesday is a weekly event hosted by That Artsy Reader Girl where we’re given prompts to write about. Usually in the format of our top ten picks of the thing. So make sure you head along to the linky and see everyone else’s posts too! 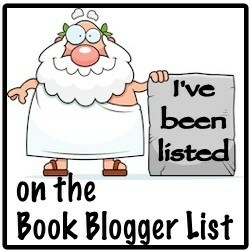 Today’s prompt is: FAVOURITE BOOK BLOGS / BOOKISH WEBSITES. And I am doing a mix of both. I do love this website. Aside from the fact it’s American and therefore expensssiiiiveee for us wee Australians, it’s awesome. I love buying my bookish cushions, t-shirts, mugs and more from here. And they’re constantly expanding their products. How it works is that artists create their designs and upload them and Society6 sells them printed on various pieces of merchandise. RedBubble is a website I’ve used even longer than Society6, although its function is more or less the same. Once again, it is an American website so I’ve got to save up those extra dollars to afford terrifying shipping costs but you can get some cute stuff from here. Mugs are my usual go-to here (although bookish cards for Christmas are also something I’ve ordered from here before, too). The Book Depository is my go-to website for buying books. Always. Free shipping world-wide and the biggest selection of books ever. I can count on one hand the number of times I haven’t been able to get an obscure book from here. I keep and up-to-date version of my wishlist on here too, and it’s something I can share so I do so around Christmastime when people want to give me books but aren’t sure which ones. It’s the absolute best. Because I wasn’t going to make a list about bookish websites without this on here. Goodreads is all you need in life to be happy. I wish I used it more as a platform for connecting with others, but mostly I use it for keeping track of my books and it’s the first place my book reviews go up on. And the best place to find up-and-coming books, hands down. One I have recently discovered and really like is Literary Book Gifts! I actually have a review of this website waiting in the wings for you guys once I receive the t-shirt I bought to try out. I’m very excited about this. This is a fantastic place to go and get some classy book cover-inspired shirts and totes! Is Etsy not the god of all creativeness? I love going onto Etsy to browse some bookish merchandise when I want something a little different. Something unique and crafty and makes me go oooh and ahhh when I find it. AND, not being based in America it’s somewhere I can actually sometimes afford to shop. Whew. I’m adding this on here as an obligatory expression of love for the Harry Potter series. There is nothing like it and the expansiveness of the wizarding world that has been created through this website. It’s hard to imagine there ever being another series that will create something like this for a whole generation ever again. Moving on to some of my favourite book blogs now. Casey runs an awesome blog and we’ve enjoyed buddy reading books together for quite some time now. She’s fun, reads awesome stuff and is definitely worth checking out. Amanda runs an amazing blog and I always love stopping to read what she’s been up to. Her weekly wrap-ups are always so organised and full of books and it puts me to shame. Not to mention how on top of her ARCs she always seems! Cait is arguably the Overlord of the book blogging world. If you’re not following Cait then I really don’t know what you’re doing. And if you haven’t bought her book yet then I shake my head at you, sir! Always entertaining and hilarious, this is your one-stop shop for a good laugh and some fantastic recommendations. What’s your favourite place to buy bookish gifts from? And who’s your favourite blogger?! I love all of these sites as well! I was just on Redbubble today wanting to buy everything! Redbubble is so addictive 😍 there’s always one hundred things I’d love to have on it! I have a recommendation. You might enjoy Litsy it’s an app for those who love books. Anyways! I was pleasantly surprised to find you included me on this list. I mean… you put me in a list with Cait from Paper Fury…. I am not worthy! Thank you my friend. Speaking of Casey… where the heck has she been?!?! We need to stage an intervention and get her back to the blogosphere! Of course you are! How could I not put one of my oldest blogging friends on this list?! Isn’t it crazy to think how long we’ve been doing this for now 😟 and I know!! We must! !